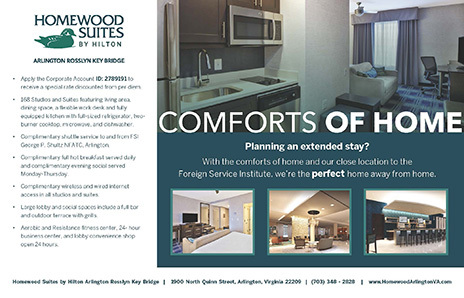 Here's how the Senior Living Foundation of the American Foreign Service assists our colleagues when life changes cause challenges. Despite a public perception that federal retirees live easy, “the monthly annuity of many Foreign Service widows and former spouses is below the Department of Housing and Urban Development’s low-income figure for their area,” says SLF Executive Director Paula S. Jakub. Most retirees face rising costs for medical care and housing that outpace the inflation adjustments to their pensions. Retirees in the pre-1986 Foreign Service Retirement and Disability System do not have income from Social Security and the Thrift Savings Plan to supplement their pensions. Tomorrow’s retirees face an unknown future due to the underfunded Social Security system and proposed changes to federal retirement benefits. To preserve the privacy of SLF clients, the following names are fictitious. The examples are composites of typical client situations. • After 30 years as an office management specialist (OMS), Helen E. retired as an FP-4 (the top of her career ladder). While her Foreign Service pension was relatively modest, so too was her retirement lifestyle. Health insurance covered most medical expenses; but, never having had dental problems, she did not buy optional dental insurance. Thus, while her budget could handle occasional big expenses such as a replacement refrigerator or car repairs, she had no funds to pay $12,000 when she faced medically necessary dental surgery. Fortunately, the Senior Living Foundation of the American Foreign Service stepped in to pay that bill. • Sonia K. enjoyed many good years with her husband, a retired Senior Foreign Service officer. But when he died, the Treasury Department pulled back his most recent annuity deposit from the couple’s bank account. It took Sonia several weeks to gather documentation to send to the State Department in order to initiate her survivor annuity and life insurance settlement. It took several more weeks for the government to make those payments. In the meantime, there were funeral expenses to be paid and the monthly mortgage payment came due. SLF stepped in with an emergency grant. • Mid-level Foreign Service Officer Mark S. was serving overseas when he became concerned about his elderly parents in the United States, who were having increasing difficulties living independently. The SLF’s Resource Center explained the types of senior services available in the parents’ location and the way to access them. SLF also referred Mark to the crisis management officer in the Family Liaison Office, who told him about Emergency Visitation Travel and other programs designed to help employees dealing with long-distance eldercare issues. • Eloise N. served as an OMS overseas her entire career. She diligently saved what she could toward retirement, and gathered a nest egg large enough to supplement her modest Foreign Service pension for as long as she needed. However, when she was around 90 years old, she started to worry that she would outlive her savings. She turned to the SLF, which began providing a small monthly grant that increased over the next 12 years as her needs grew for additional home health care, dental care, prescriptions, etc. SLF helped keep Eloise in her home until she died peacefully one night—at the age of 103. Tomorrow’s retirees face an unknown future due to the underfunded Social Security system and proposed changes to federal retirement benefits. 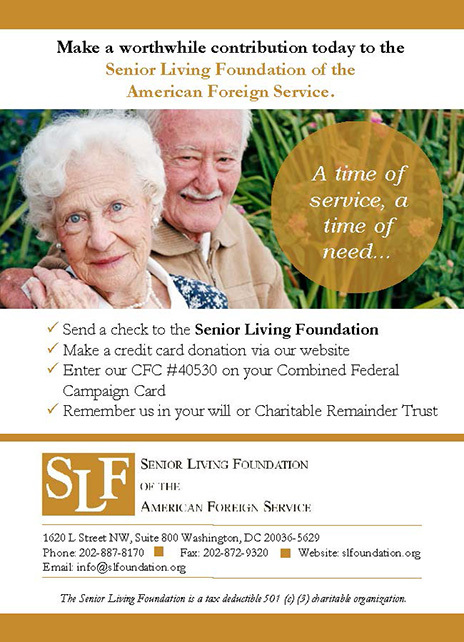 Based on documented financial need, SLF helps to defray the cost of prescription copays, hearing aids, home health care services, geriatric care assessments, basic living expenses, senior housing, long-term care, durable medical equipment and other services that contribute to the health and security of the retired Foreign Service family. Last year, SLF provided over $220,000 in financial assistance. In a typical month, SLF helps more than two dozen colleagues, with grants generally ranging from $200 to $2,500. Grant recipients live across the United States, with two-thirds residing outside the Mid-Atlantic region. Four percent live overseas. Beyond financial assistance, SLF’s Resource Center connects both retirees and active-duty Foreign Service members with state, local and community resources to help them make life-changing decisions for themselves or aging loved ones. SLF’s licensed social worker consultant handles each case individually, helping colleagues navigate through the bureaucratic maze to obtain the available help. “SLF is here to serve our Foreign Service family, but we need retirees and active-duty employees to be our eyes and ears to help us reach those in need,” explains Executive Director Paula Jakub. Anyone who needs assistance, or who knows a Foreign Service colleague or family member who does, can reach SLF at info@SLFoundation.org or (202) 887-8170. SLF considers each case individually and maintains total confidentiality. SLF’s work is made possible thanks to generous contributions by individuals, corporations and bequests. Administrative overhead expenses are low since SLF receives support from the American Foreign Service Protective Association (sponsor of Foreign Service Benefit Plan health insurance). SLF is a tax-deductible, 501(c)(3) charitable organization that participates in the Combined Federal Campaign (CFC number 40530). To learn more, visit SLF’s website at www.SLFoundation.org. Active-duty employees and retirees can take steps to reduce their chances of someday needing to turn to SLF for assistance. 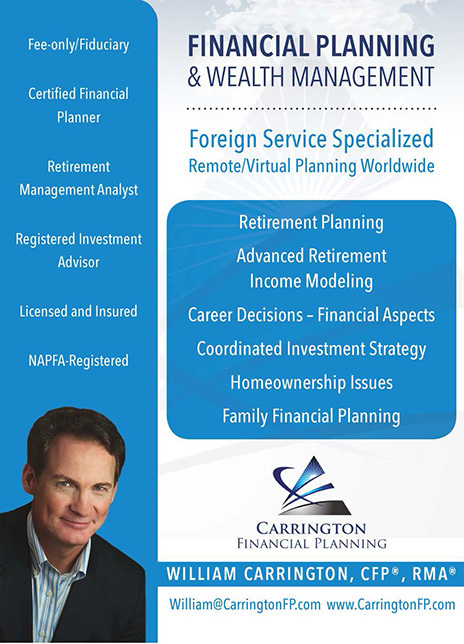 My article “Retirement Planning 101” in the May 2016 Foreign Service Journal discusses how employees can build up their retirement nest eggs. The article recommends getting more detailed guidance on the Office of Retirement website (https://RNet.state.gov) and taking one of the Foreign Service Institute’s retirement planning seminars. Employees should also consider signing up for long-term care insurance and dental insurance, and should be sure to update their beneficiary designations in event of marriage, divorce or death of spouse. Retirees can refer to guidance in AFSA’s 2018 Directory of Retired Members, which suggests steps including making sure that your TSP account outpaces inflation, keeping your beneficiary designations up-to-date, and briefing your family on how to expeditiously file for survivor benefits. The directory also includes information on life insurance, long-term care insurance and Medicare. Official guidance can be found in the Office of Retirement’s Foreign Service Annual Annuitant Newsletter (posted at https://RNet.state.gov under “What’s New?”). 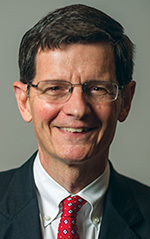 John K. Naland retired from the Foreign Service in 2015. He is currently the AFSA retiree vice president and previously served as AFSA president (twice) and AFSA State vice president. He is also president of the Foreign Service Youth Foundation (www.fsyf.org).